Developing truly secure software is no walk through the park. 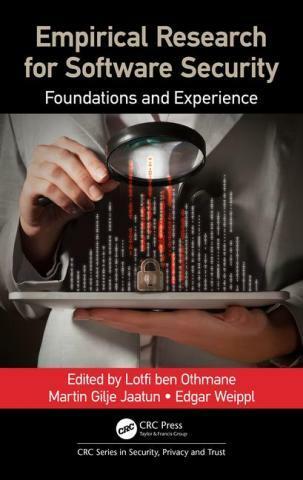 In an effort to apply the scientific method to the art of secure software development, a trio of authors—Lotfi ben Othmane, Martin Gilje Jaatun and Edgar Weippl—teamed up to write Empirical Research for Software Security: Foundations and Experience, which is published by CRC Press. The book is a guide for using empirical research methods to study secure software challenges. Empirical methods, including data analytics, allow extraction of knowledge and insights from the data that organizations gather from their tools and processes, as well as from the opinions of the experts who practice those methods and processes. These methods can be used to perfect a secure software development lifecycle based on empirical data and published industry best practices. The book also features examples that illustrate the application of data analytics in the context of secure software engineering.